Play the Game Tonight: Jim Harbaugh, Michael Richardson, Nick Chubb, and more. Play the Game Tonight - New Year's Eve edition. Sun Life Stadium, Miami Gardens, Fl. They held a basketball game, and a Sadie Hawkins Dance broke out. Michael Richardson is an ex-student-assistant. The following item is brought to you by the Chubb Group. Dude You Crazy makes the argument for Georgia to promote tight ends coach John Lilly to the offensive coordinator job left vacant when Mike Bobo became head coach of Colorado State. University of Michigan is selling Jim Harbaugh jerseys...and khakis. Well, this didn't take long. The University of Michigan is apparently already selling Jim Harbaugh jerseys in its bookstores. Along with an accompanying pair of khakis. Michigan now selling #4 Harbaugh jerseys. pic.twitter.com/bavZhY3WfH UM will make back his $35M contract in about 24 hours. Old Navy is apparently in charge of the University of Michigan bookstore. Who knew? Also of note on Twitter, the hashtag #KahkisForHarbaugh is a trend. This of course brings up the definite possibility that the next few years in Ann Arbor are going to be one big Sadie Hawkins Dance (in their khaki pants). The University of Michigan Marching Band may want to learn some Relient K pretty soon. So I went to the doctor about my the cold I've been fighting for about a week. I had a temperature 101.9º F. Which is really bad because The males in my family have a lower-than-average body temperature (around 96.5º F) in the first place. So basically I'm staying in bed for the day. Maybe I'll post something if I get to feeling better. Jim Harbaugh is a University of Michigan head football coach. ESPN is reporting that the University of Michigan is planning to name Jim Harbaugh as its next head coach. So the drama in Ann Arbor is either over or it has officially begun. Meanwhile, check out Drew Magary's declaration that Harbaugh's old employers, the San Francisco 49ers, shouldn't have fired him. The Harbaugh two-step may end up biting both SF and Michigan in the back. Hold on to your khaki pants, folks. The insanity is just about ready to start. Jim Harbaugh still not officially new Michigan head coach yet. There's a lot of smoke surrounding the possible hiring of current San Francisco 49ers head coach Jim Harbaugh by Michigan to be its new head coach, but nothing close to be 100% official yet. Dr. Saturday has reported on claims that the move is a done deal. That was based apparently based more on Twitter chatter, however. Bruce Feldman is reporting that one of his sources claims the deal is done, and that Harbaugh and his family will be in Ann Arbor, Mi. on Monday attending the Wolverine men's basketball game against Illinois. He also reports, however, that the Oakland Raiders are hoping to sign Harbaugh to a deal as the NFL team's new head coach. ESPN hasn't updated its story on Saturday that University of Michigan officials were scheduled "to meet with" Harbaugh, who still has to coach todays 49ers' game against Arizona. The Game doesn't start until 4:25 PM ET. Don't expect anything official until the game is over, or possibly until Monday as part of the traditional end-of-the-regular-season bloodletting in the NFL. My usual rule of thumb is not to go with something on this level until ESPN reports on it. So I wouldn't start jumping for joy just yet if you're a Michigan fan. Play the Game Tonight: Todd Gurley, bowl games, and more. Play the Game Tonight - Saturday edition. Sun Bowl, El Paso, Tx. Qualcomm Stadium, San Diego, Ca. There's a possibility but no chance. If you're gonna play in Texas, you might as well recruit. 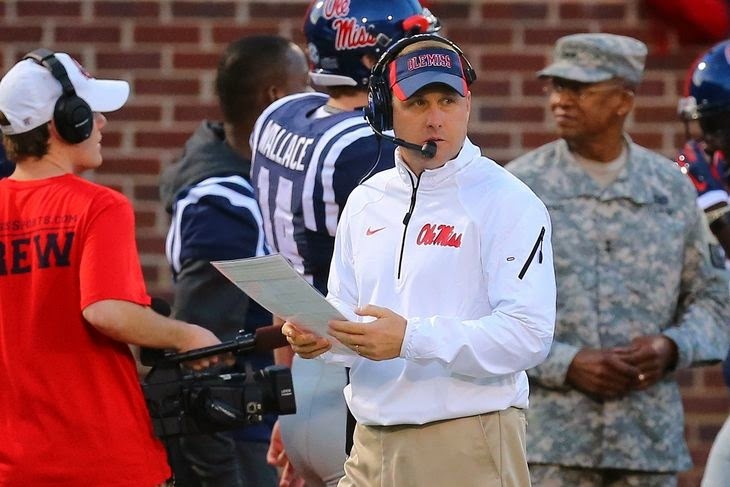 Play the Game Tonight: Hugh Freeze a,d Chad Kelly, Nick Marshall, Mike Davis, and more. Play the Game Tonight - Boxing Day edition. Tropicana Field, St Petersburg, Fl. If You Let Me Stay. Hope you all are having a merry and blessed Christmas. Here are a few of the college football-related Christmas tweets sent out today. 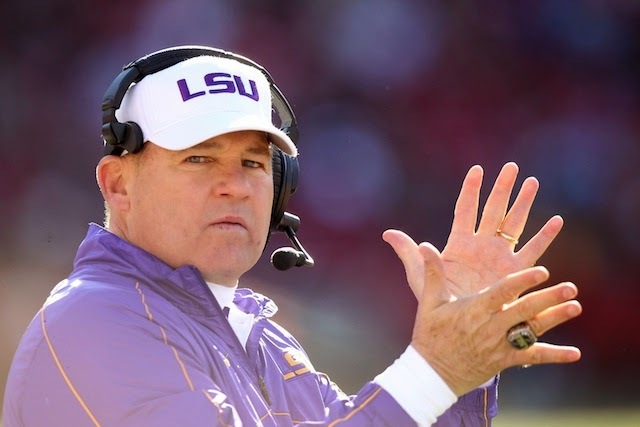 Play the Game Tonight: Jimbo Fisher, Marcus Mariota, bowl games, and more. Platy the Game Tonight - Christmas Eve edition. Play the Game Tonight: Nick Saban vs Urban Meyer, Mike Bobo, Jim Harbaugh, and more. Play the Game Tonight - Tuesday edition. FAU Football Stadium, Boca Raton, Fl. Please come to Denver Fort Collins to see the snow fall. Am I Strong enough to be your man? Red Cup Rebellion deals with the recent arrest of Old Miss quarterback commitment Chad Kelly recent arrest with "The Twelve Days of Chadmas." Former Clemson QB Chad Kelly alledegly assaults bouncer, threatens gun violence. Jim Kelly's nephew is in trouble with the law. Chad Kelly, a former Clemson quarterback who gave a verbal commitment to Ole Miss, was arrested early Sunday after getting into an altercation at a bar and restaurant in Buffalo, NY. According to The Buffalo News, Kelly and another individual reportedly had been ordered to leave the establishment earlier in the evening. The pair returned later, at which time Kelly allegedly assaulted a bouncer who was trying to kick them out again. Kelly faces charges of "third-degree assault, second-degree harassment, second-degree menacing, resisting arrest, fourth-degree criminal mischief and second-degree obstructing governmental administration," among other charges. He was released from jail without bail. Kelly was released from the Clemson football program for what ESPN described as "conduct detrimental to the program." He most recently played for East Mississippi Community College, which won the 2014 National Junior College Athletic Association title earlier in December. On the first day of bowl games my true love gave to me - a cold. It figures. The first bowl season of a new era in college football, and I'm sick. How sick? Let's put it this way. I've pretty much slept on and off for 20 hours. I've been feeling dizzy about every time I wake up, so the flu (or what ever this is) has beaten me up pretty well. I'll hopefully be back tomorrow. Is this kosher? SEC Nation's Tim Tebow speaks to Alabama's College Football Playoff opponent Ohio St.
What's wrong with this picture? SEC Nation broadcast team member Tim Tebow spoke in front the Ohio State football team on Thursday night. You know, the Ohio State team facing off against SEC champion Alabama in the College Football Playoff? Hopefully this has more to do with Tebow's connection to Meyer than it does to any ill will against 'Bama from the 2009 SEC championship game. That wouldn't be very becoming of him if it were so. Jim Harbaugh will NOT be Michigan's next head coach. Because Bruce Feldman said so. If you're a Michigan fan who wanted Jim Harbaugh as the Wolverines next head coach for Christmas you may be disappointed. FOX Sports 1's Bruce Feldman has suggested that the reported story about the San Francisco 49ers' head coach being offered a six-year, $48 million dollar deal to coach his alma mater might be a little more rumor than fact. As I said on @FoxSports1 today, I was told by sources the reports on the $8M per offer by #Michigan to Jim Harbaugh are not accurate. Feldman also suggested that the more likely candidate for the Michigan job could be Mississippi State's Dan Mullen. Oliver Luck is an ex-West Virginia athletic director. 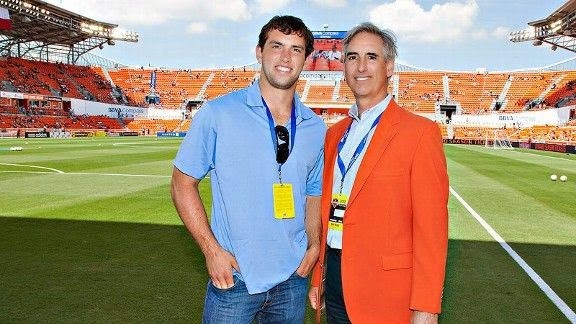 Oliver Luck (right) with son Andrew Luck. Reports are circulating that Oliver Luck is stepping down from his position as athletic director of West Virginia. He's reportedly leaving Charleston for a position in the NCAA. Iowa wrestling coaches face off in freestyle swimming competition. Tom and Terry Brands are twin brothers, Olympians and Iowa wrestling coaches. They went one on one against each other in a 50 meter freestyle swimming race before the Iowa St-Iowa womens swim meet back on Dec. 12. Hawkeye head wrestling coach and Olympic gold medalist came out ahead of his brother, associate head coach and Olympic bronze medalist Terry Brands. Luckily for America, the Brands brothers decided to go with the more modern, long-legged compression shorts-like trunks as opposed to the more infamous Speedo briefs swimsuit. Michael Phelps or Ryan Lochte they aren't. But brother Tom's win garnered $250 for the charity of his choice from Iowa Corn. Cupcakes in the shape of a Florida Gator? Oh, why not! The University of Florida athletics department has apparently discovered Pintrest. Its Twitter account, @GatorZoneNews, tweeted the following photo in honor of National Cupcake Day. And yes, The Gators do have a Pintrest site. Auburn freshman RB Jakell Mitchell killed in gun-related incident. Auburn redshirt freshman running back Jakell Mitchell was killed Sunday morning following an apparent shooting incident that occurred at an off-campus apartment complex. In the words of the modern philosopher Chad Johnson "Child, please." Tim Tebow will be part of 2014 Peach Bowl announcing crew. Tim Tebow will be returning to a familiar place on New Year's Eve, though in a completely different role. His Tebowness will be making his debut in the announcers booth for ESPN's broadcast of the 2014 Chick-fil-A Peach Bowl at the Georgia Dome in Atlanta on Dec. 31. Is Wisconsin the Taylor Swift of college football? The Internet has come up with a brilliant analogy about Wisconsin following the departure of former head coach Gary Andersen. The Badgers have become the college football version of Taylor Swift. I know what you're thinking. 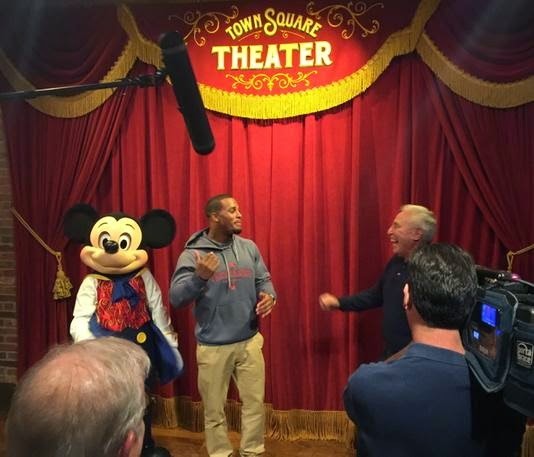 How does Disney stop Lee Corso from ripping Mickey Mouse's head off and wearing it? I'm just going to assume Disney security had machine guns aimed at Corso at all times during this shoot. 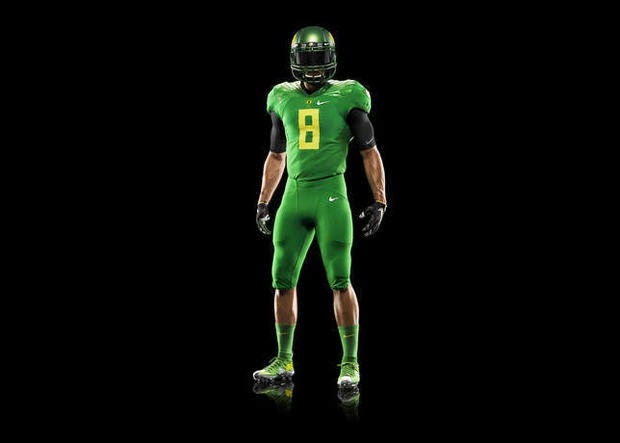 Oregon goes all green for College Football Playoff. No one expected Nike to lie still while Uncle Phil Knight's alma mater Oregon made it to the inaugural College Football Playoff. Needless to say, Uncle Phil's Misguided Children didn't let him or the Ducks down. 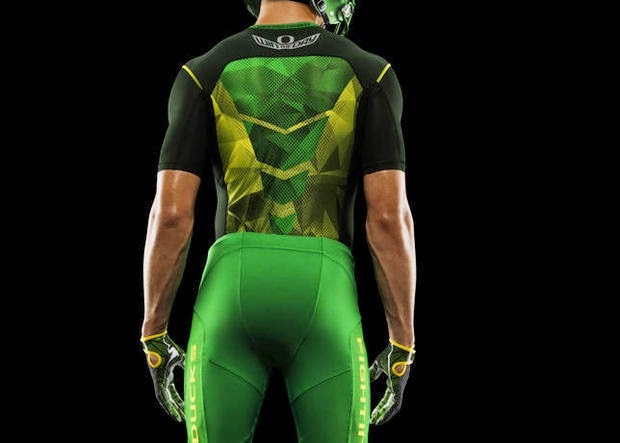 In adding yet another new uniform to Oregon's already Tony Stark-like armory, Nike went virtually all green, with yellow and black accents. Big 12 reportedly has met with representatives from University of Cincinnati. Just when you thought college football conference expansion silliness was a thing of the past, along comes a report that the Big 12 has been talking to Cincinnati about depicting from the AAC. This apparently isn't a knee-jerk reaction to the Big 12 Mike DeCoursey of The Sporting News reports that Big 12 officials and representatives of the University of Cincinnati held a meeting before the announcement of the teams in the inaugural College Football Playoff. No offers for Cincinnati to join the conference were made at the meeting. The writing on the wall for the Big 12 is on the wall, however. Not having a conference title game hurt the Big 12 this season, CFP-wise. The conference would need two more members to revive its title game, which it hasn't held since 2010. The College Football Playoff is the new Oscars, and that's a bad thing. What does today announcement of the teams in the first annual College Football Playoff remind me of? It reminds me of the Oscars, when the Academy skips over the film that was a favorite among both the critics and the fans for a film that underperformed at the box office and got mixed reviews but got the nomination because it was one of those "prestige" films with a message. One down, three to go: Oregon all but clinches a place in the College Football Playoff. Oregon defeated Arizona in the Pac-12 Championship game on Friday night. 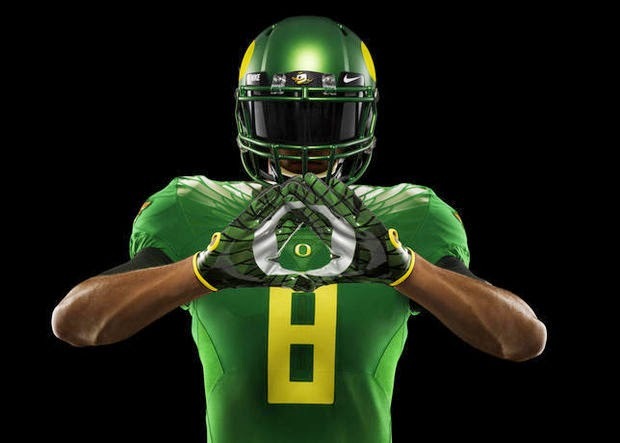 In doing so, it all but guaranteed the Ducks a spot in the first College Football Playoff. University of Nebraska chancellor uses "YOLO" in tweet denying school was intetrested in Bret Bielema. University of Nebraska chancellor Harvey Perlman has officially denied that the school was interested in hiring Arkansas head coach Bret Bielema to replace the fired Bo Pelini. This comes after Nebraska hired former Oregon head coach Mike Riley as Pelini's successor. Nebraska has hired Mike Riley away from Oregon State. Riley will replace the recently fired Bo Pelini at Nebraska. Florida hires Jim McElwain away from Colorado State. Florida has found Will Muschamp's replacement. 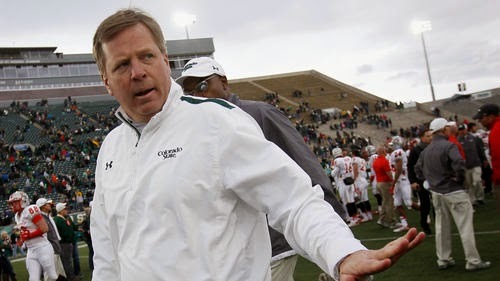 The school has hired Jim McElwain away from Colorado State to become the Gators' new head coach. Brady Hoke is an ex-Michigan head coach. The embattled Hoke was fired Tuesday afternoon by the University of Michigan after a tumultuous 5-7 season. Hugh Freeze may be out of the running for the job of head coach at Florida, or anywhere besides his current school Ole Miss, for that matter. Jim Tressel WILL NOT be Nebraska's next head coach. 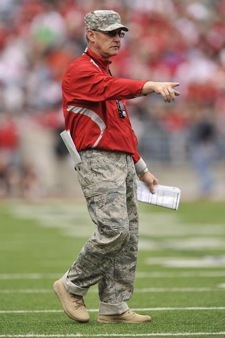 Somehow a Twitter rumor got started late Sunday night early Sunday morning about former Ohio State head coach Jim Tressel being a candidate for the Nebraska head coaching position, which is currently vacant following the firing of Bo Pelini. Sad to say, the rumors are apparently not true.